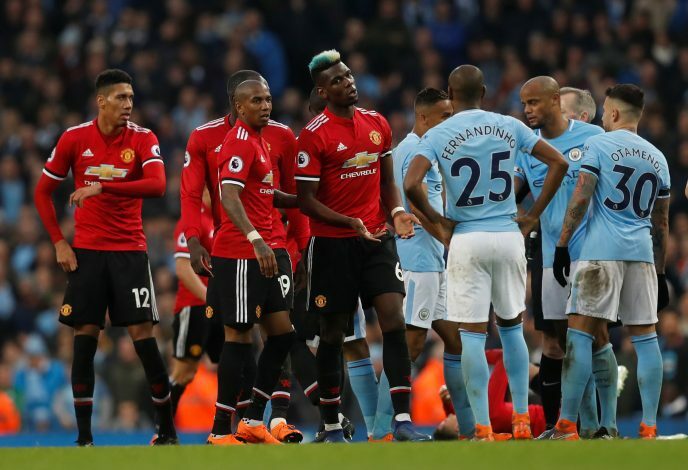 Pep Guardiola and his men suffered a blow last weekend, when their arch-rivals Manchester United claimed a 3-2 victory at the Etihad. Although it initially seemed as if the Sky Blues would go on to secure the title in the first half, the travelling side came back from behind to materialise a stunning comeback. Accordingly, the players in red provoked the Cityzens, both on and off the pitch, if reports are to be believed. Disregarding the fact that the widely anticipated fixture passed without much drama, the Red Devils got back at their opponents after the full-time whistle, remembering what happened in the reverse fixture. The Sun reports that, at Old Trafford, Jose Mourinho had asked City to turn down their music and show more respect. Nevertheless, this time, it was United who turned the volume all the way up. Furthermore, United were aware of the fact that the opposition had booked tables at a restaurant to celebrate their victory, and Mourinho’s men enjoyed spoiling the Sky Blues’ party. City could have earned the earliest ever Premier League title win had they secured a victory against their rivals. Nevertheless, now they have to win two more games in order to assure that they bring the silverware home.